I had the pleasure of doing an interview with Uncommon YA founder, author Beth Fehlbaum, on her YA Writer Wednesday feature. Check it out! 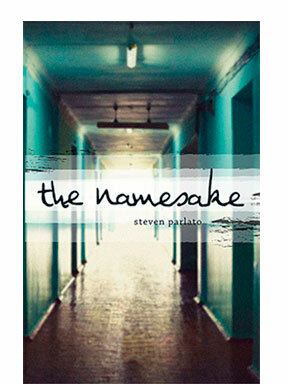 The Namesake is about a lot of things: faith, friendship, betrayal, forgiveness. The story centers on Evan Galloway, a fifteen-year-old grappling in the aftermath of his father’s suicide. It’s part mystery, part coming-of-age story. As Evan digs into his dad’s past, uncovering details of sexual abuse and death, the story gets pretty dark, but there’s plenty of humor as well. Evan’s Catholic high school, Saint Sebastian’s, his extended family, and a job at Alberti’s, an Italian restaurant, figure prominently, so there are lots of colorful characters. I started writing it in my first graduate class, and I was inspired by my cousin’s suicide– and the idea of what it would be like for a kid to deal with that reality at the age of fifteen, a time of upheaval in every life. As the story unfolded, the darker elements of abuse just sort of surfaced. It’s a very personal topic for me, and the writing–while at times pretty difficult–was a way to process some of my own emotional baggage. For anyone who’s lived through similar circumstances, Evan’s journey should ring true. And for those who haven’t been touched by abuse or suicide (if there are such people), reading The Namesake will hopefully inspire compassion for those struggling with life’s challenges. Do you write from an outline or are you a “pantser”? I’m definitely not an outline person. I tend to write in a fairly organic way, letting my characters lead. With The Namesake, there were definitely scenes I knew I wanted to include, and I sometimes wrote those scenes way out of sequence or context. For example, if a scene that takes place toward the end of the novel felt really vivid, I’d write it, and then figure out how to get to that point. I also tend to be a bit of a perfectionist; I have a hard time writing a sloppy first draft and then editing. This sometimes leads to a plodding process, but it seems to be my best mode of working. Are you a full-time writer or do you have a “day job”? What do you do in your “day job”? Ah, to be a full-time writer! Nope. I have a super-demanding “day job”; I teach writing and literature at a community college. This means my own writing takes back-burner status during the semester, while I focus on the writing of approximately 125 students. I love teaching. Though it is totally exhausting, frustrating and sometimes even maddening, it is also beyond rewarding. My teaching also informs my writing, and the fact that I’m a published writer seems to be meaningful to my students. In a way, I guess I’m modeling for them the fact that writing and literature can be central to someone’s life. Why YA as opposed to some other genre? Good question! I don’t know that I really have a definitive answer, because I don’t quite know whether my writing, especially The Namesake, is definitively YA. While my main characters are squarely in the YA age bracket, I’m dealing with some pretty adult content. I think two things that really appeal to me about writing YA are how important everything is during adolescence, and the honesty factor. Feelings run so deep for teenagers, and there’s so much growth, experimentation and struggle during that period, that adolescence lends itself naturally to dramatic narrative. Young adults in general also have no problem telling—or making adults acknowledge—difficult truths (trust me, I have a sixteen-year-old), so again, it’s sort of empowering to write in their distinct voices. And of course, there’s the perk of having the word “young” in the job title. As I rocket toward the half-century mark, that’s sort of comforting. Who’s your agent? Take this opportunity to brag on him/her if you’d like! My agent is the phenomenal Victoria Marini of Gelfman Schneider Literary Agency. She has been an absolute champion of my work, and has a wonderful editorial eye. Victoria is brave, persistent, incredibly smart and really, really funny. Her input definitely made The Namesake a better book, and she helped me to understand some of my characters in ways that hadn’t fully occurred to me. I can’t sing her praises loudly enough! Thanks, Beth & Uncommon YA, for hosting me for YAWW; it’s always a pleasure to be here!